The manufacturing company of the future will not only have to compete on its ability to deliver a top-shelf solution, but it will have to get the product to the end user quickly as well. This will require the careful use of inventory management software in order to ensure the products are sent where they need to be, to meet the demand in various markets. At the forefront of the supply chain industry are two companies that are striving to compete in an increasingly difficult market. Wal-Mart and Amazon both focus on delivering cheap prices, and they utilize their supply chains in order to reduce costs below that of their competitors. Much can be learned from this even for businesses in less intensively supply-chain driven industries. 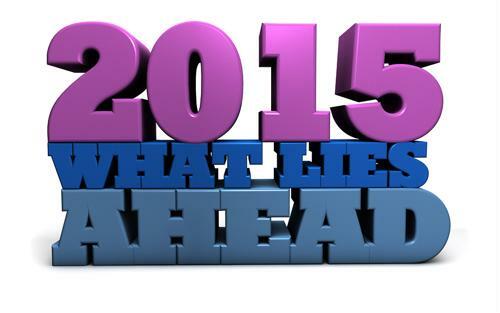 According to Property Casualty 360, the major challenges of 2015 will be those pertaining to the supply chain. In particular, because of the changing landscapes - both political and economic - of many developing nations, it may be difficult to find appropriate suppliers as some fall by the wayside. Tying together the supply chains of the future are tools used by many of the biggest firms. Automated Data collection software should be at the center of any logistical venture. It is the one technique that guarantees the necessary visibility for establishing a broad range of carriers and suppliers to ensure that all risks are mitigated. Fierce Retail reported that the major takeaway from recent actions taken by Amazon is price optimization. This means finding unique solutions for shipping products and building finished goods in such a way that they can be delivered for the lowest price. Even businesses that don't usually compete on price can benefit from a strategy like this. If two companies both make the same manufacturing parts, but one can ship it for less cost, then many in the industry will take note of that as a way for their own business to save money. The best way to keep prices low is to invest in solutions that have a large return on investment. These don't necessarily have to be consultation services, as much of the work for supply chain optimization happens with transparency created through data collection software. For example, barcode scanner software can easily be utilized to check every item as it goes through an entry or exist point, and some factories will even scan products as they move through production. This way the company will know who shipped what where, along with detailed information about all of their carriers and suppliers. Some in the industry don't even know how many suppliers they have, but the information is crucial in order to decide on a best purchase scenario for every factory that requires raw materials. The supply chain of the future has increasingly become one in which having multiple suppliers of the same raw good is necessary in order to avoid running out of something. Property Casualty 360 cited political instability as a major worry for those whose job it is to make sure factories are well stocked with raw materials. Forbes suggest the Internet of Things will become a major player in future supply chains to help mitigate some of the risk. Machines in a factory will talk to each other across an Internet connection, and computers will analyze the data they create in order to help facilitate the best possible connections between suppliers, carriers, factories and warehouses. In order to bring about this system, companies will need tools like mobile enterprise applications, which allow managers to collect data from factory floors and access it with their own devices. This way, supply chain executives will never be out of the loop.